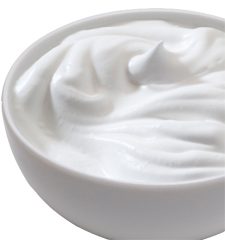 Goat milk cream is made by separating fresh goat milk into cream and skim milk. The goat cream is then pasteurised and packaged. Goat milk cream is often used in the ice-cream industry. It is also particularly appropriate for the standardization of cheese milk. Different ingredients (sugar and stabilizers) may be added. Today, Evaporated Goat milk are manufactured and marketed in most part of the world besides the United States. Evaporation is usually done under reduced pressure, primarily to allow boiling at a lower temperature to prevent heat damage.